Whether you are new to Northwest Arkansas or are just looking to expand, Fayetteville, Arkansas, has got what you are looking for! We might be a little partial to this great city since it is where we live but I promise it’s not just us. Ranked #5 on the top places to live in the US by U.S. News, Fayetteville has been growing drastically and shows no signs of stopping anytime soon. Together with Bentonville, Rogers, and Springdale these great cities make up Northwest Arkansas, a place that is experiencing tremendous growth not only through commerce and education but an ever-present cultural environment. 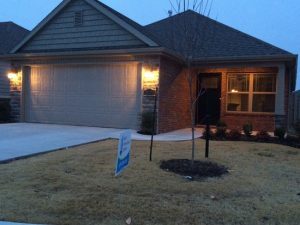 Let’s explore homes for sale in Fayetteville, AR? Located within the beautiful Ozark Mountains, Fayetteville, Arkansas, serves as the perfect backdrop for foodies and nature lovers alike. With premiere television shows like True Detective showcasing our beautiful state parks and our local restaurants serving up some of the best burgers this side of the Mississippi River, it just goes to show that Fayetteville is the place to be! The University of Arkansas continues to experience tremendous growth year after year bringing young people from all over the country to our little corner of the world. The feeling of camaraderie is at an all-time high during football season, which brings fresh new energy to Fayetteville year after year. The student population is one of the greatest aspects of our great city, which fuels the growth in entertainment and culture in Fayetteville year after year. Fayetteville is also home to many young families making their start here is Arkansas due to the vast opportunity of jobs and low cost of living. U.S. News found that while the major sector of Fayetteville’s economy comes from education, Northwest Arkansas serves as the headquarters for three of Arkansas’ Fortune 500 companies. These companies are constantly looking for new talent and recruiting from all over the country. Since there are so many opportunities for work here in Fayetteville, our unemployment rate is below the national average. Now if you’ve chosen Fayetteville as the place for you and your family, let’s take a look at what neighborhood and area of Fayetteville would be the best fit for you! 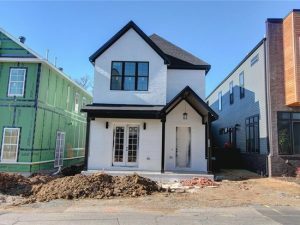 Whether you are wanting to be near the historic square in downtown Fayetteville or uptown with easy access shopping and businesses, there is a wonderful home perfect for you and your family. This area is just north of the city center in Fayetteville and is a relatively small area due to Johnson and Springdale, Arkansas, being so close. It is split in the middle by Gregg Avenue and it is relatively known as Uptown Fayetteville which is an area full of business, restaurants, and the Northwest Arkansas Mall. This is where our offices are located and we love this area! We are able to get the best of both worlds by still being in Fayetteville but also being so close to Springdale. The average price in this area is around $180,000 though there are few homes available in this area for purchase. 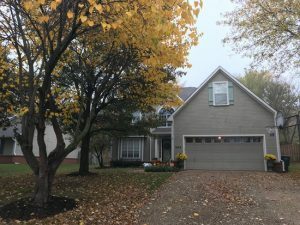 There are medium-sized homes such as the home on the right is a 3 bed 2 baths 1,300 sqft and then larger homes like the one on the left that is 4 bed 4 baths nearly 5,000 sqft. 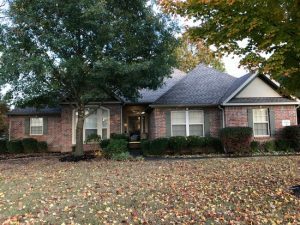 This area is still in Fayetteville Public Schools district and has close access to Interstate 49 giving you easy access to other areas of Northwest Arkansas. On the east side of Fayetteville near Mission Boulevard and Crossover Road, this area provides the most convenience and comfort to many stores and restaurants. This neighborhood is home to a primarily working population employed in management or professional occupations. 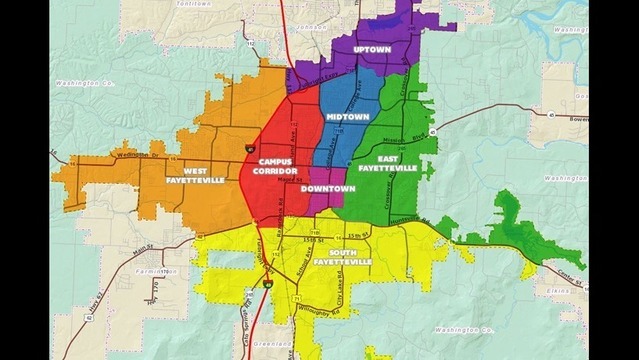 The average home price in this area of Fayetteville is $325,000. It is a suburban neighborhood with stately homes built for families. 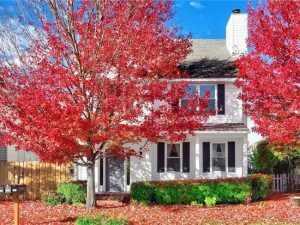 Here are some examples of the homes that are for sale in this area of East Fayetteville. 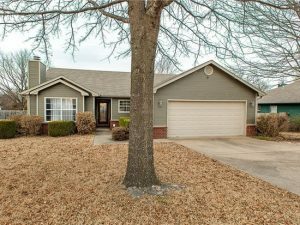 Many of the homes in this area have been updated or are new construction and around 2,500 square feet. 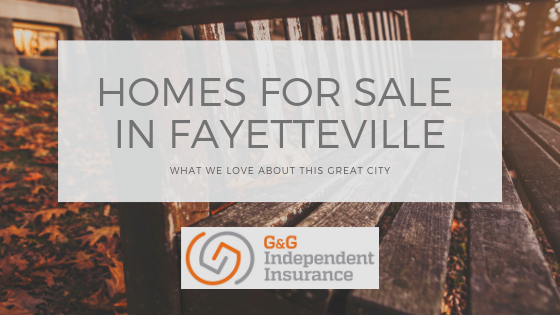 All of these homes are located within the Fayetteville Public School District in safe areas for families to enjoy and grow. The city center of Fayetteville includes campus corridor, midtown, and downtown this area serves as the area closest to the University of Arkansas. This area is mostly student-living dormitories and apartments that make access to campus easy. It is a very convenient location, which means there are very few listings in this area available for purchase. If you work for the university, this area would be perfect for you due to the short walking distance to campus. The average price of a home in this area is anywhere from $290,000-$300,000, although there are higher prices for new construction. Though most of the homes in this area were built between 1970 and 1999, you will still see new town homes being built each year to help accommodate the growing population. The average home size is 1,100 square feet for town homes similar to the one on the right. This area is also very close to Fayetteville High School and is in the Fayetteville Public Schools district. This is the area just west of the city center of Fayetteville, and it is a fairly new addition to this city. Wedington Road separates this area of town and south of this area is Farmington, a nearby suburb of Fayetteville. The average price for homes in this area is around $180,000. 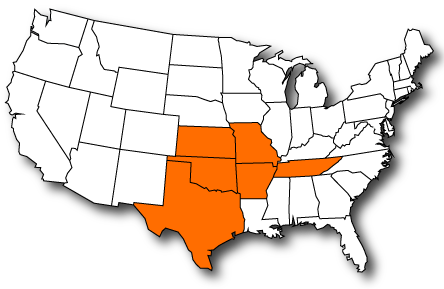 Interstate 49 runs close to this area, which gives people quick access to other parts of Fayetteville and Northwest Arkansas. 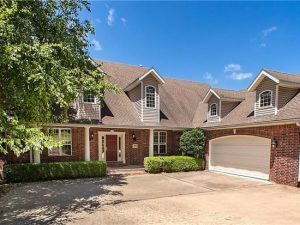 The average square footage of these homes is around 1,500 and the homes average 3 beds and 2 baths. 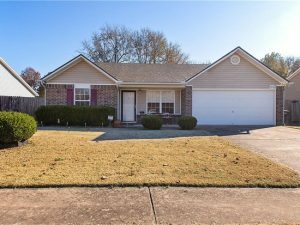 They have nice yards perfect for families and are out of the way of the normal hustle and bustle of downtown Fayetteville, yet still has access to great schools and local businesses. This is the area just south of Martin Luther King Boulevard, and it is made up primarily of small to medium-sized homes built in 2000 or more recently. 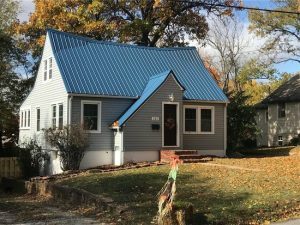 The average price for this area of Fayetteville is $180,000 and is around 1,500 square feet. There are still many college students that live in this area due to the number of apartment complexes built within this area. Fayetteville Country Club is also located in this area of South Fayetteville along with close access to Baum Stadium, the prime spot to watch the Arkansas Baseball team play. No matter where you choose to live in Fayetteville, you can’t go wrong! 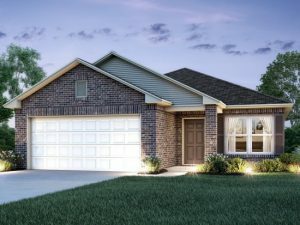 Each area is growing drastically and provides easy commutes to other areas to not only Fayetteville but Bentonville, Rogers, and Springdale as well. Once again, maybe we are partial but we really do think Fayetteville is the best, and we love being a part of this great city! 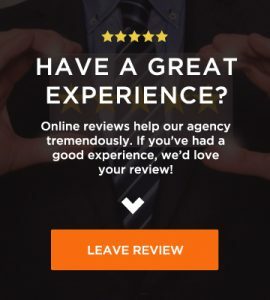 If you are purchasing a home in Northwest Arkansas we would love to connect with you and provide you with great home insurance! We know Arkansas and would love to help in any way we can. 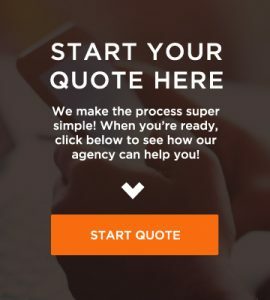 If you are looking for a home insurance quote don’t hesitate to reach out to us at 479-802-0086 or get a quote started here!